The break-even price is the price necessary to make normal profit. 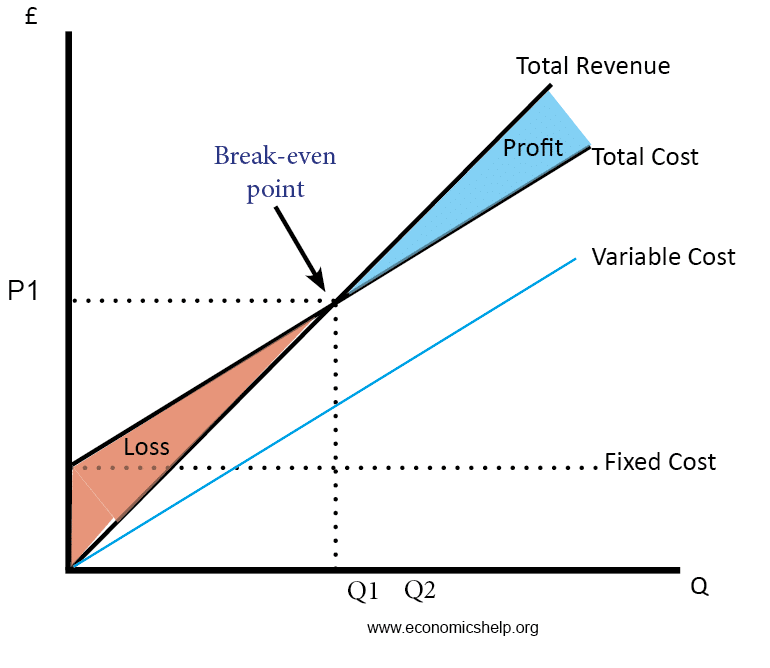 It is a price which includes all costs, including variable and fixed costs. At the break-even price, the firm neither makes a loss or profit. If the output increases to 24,000, the break-even price would be lower. 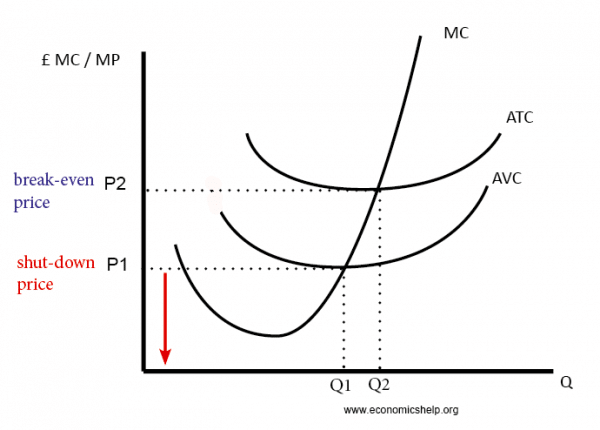 At P2 – average revenue (AR) = ATC. How much does the firm need to sell in order to break even, with a market price of £13? A firm will be interested to know the break-even price. For example, if it is entering a market, it may be interested in the lowest price it can set without making a loss. This is important for a firm with the objective of sales maximisation. One definition of sales maximisation is setting the price as low as possible, whilst still making normal profit (and breaking even). A firm may find out its break-even price and then add a certain profit margin, to help set prices. A firm may not be able to easily calculate all its average total costs, and so in the real world, it could get the price wrong. Similarly, it may calculate break-even price on a certain output, but if demand is less than expected, the price will be too low.